As Mumbaities bids adieu to Lord Ganesha on the final day of the festival, Rediff.com's Hitesh Harisinghani and Satish Bodas speak to lifeguards at the city's beaches. Kiran Gosawi, 26, who works for the Mumbai Fire Brigade as a lifeguard was getting ready for an eventful evening at Juhu beach on the 11th and final day of Ganpati Visarjan. Kiran, who resides in Mankhurd, came to work at noon and would be working till 10 pm when his shift ends. This is his fourth year at Juhu beach. 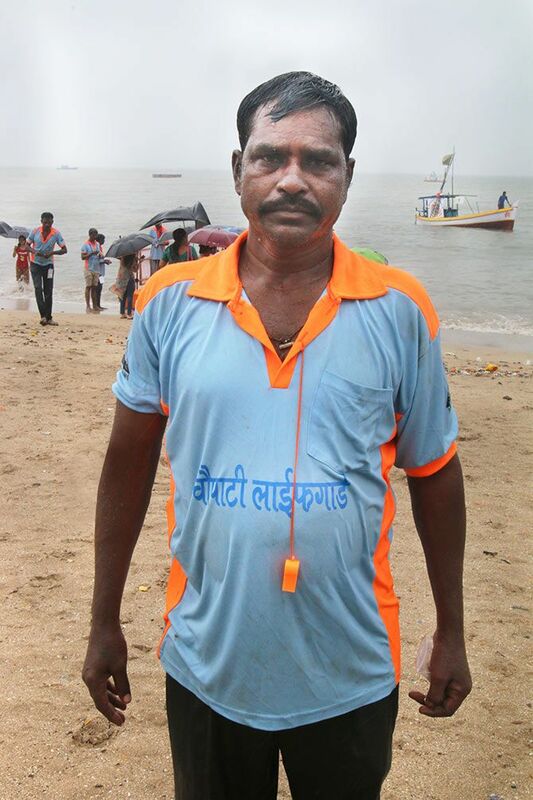 Kiran along with his colleagues have saved 36 people from drowning at Juhu beach this year. "The number of people keep increasing as each year passes by and there are not many lifeguards for them." says Kiran. 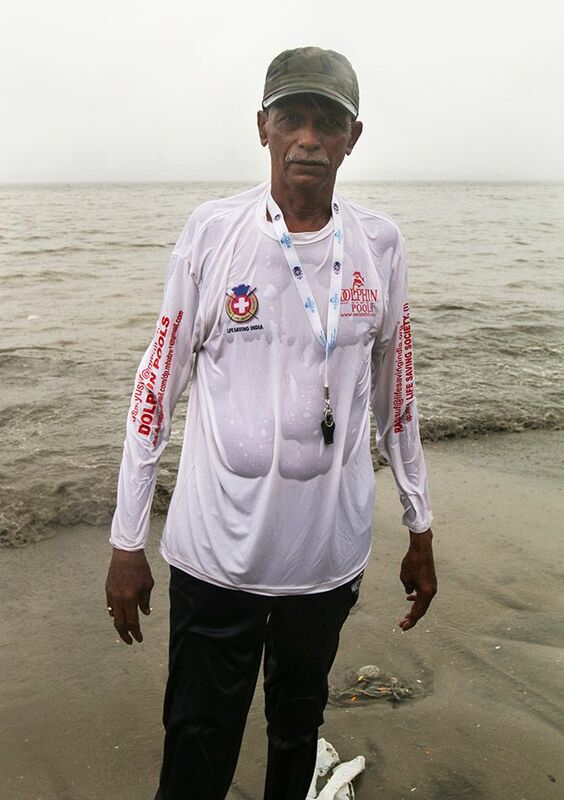 "High tides are the time when people should be extra careful and should not go deep inside the sea,” warns Kiran as he gets called by his senior. 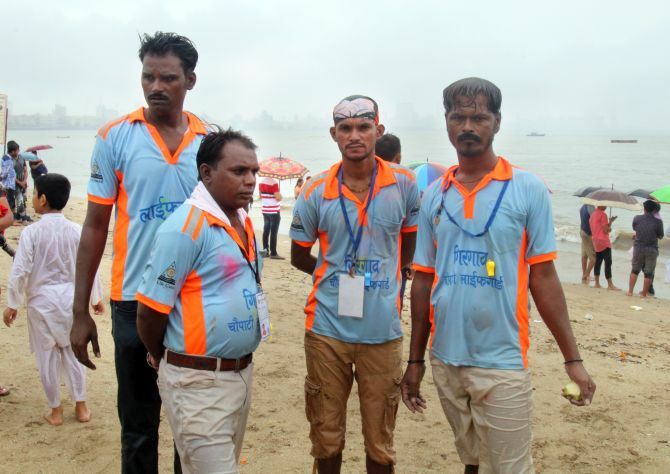 At Girgaum Chowpatty -- where large and famous Ganesh idols, including 'Lalbaugcha Raja' and 'Ganesh Gallicha Raja' will be immersed -- another team of lifeguards are ready for the task. 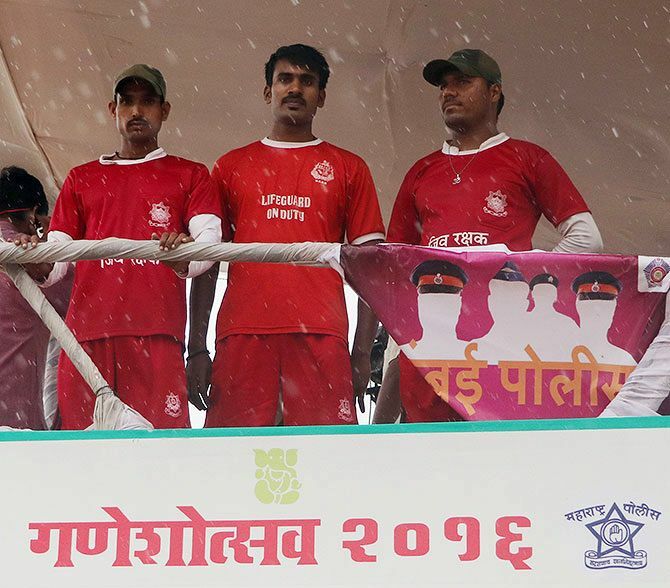 Ranganath Subhash Pawar, 52, earns Rs 500 per day during the 11-day festival. When Pawar is not saving the people, he sells toys and lemons on the roads of Malad where he lives with his two wives and eight children. The youngest among them is Ram Yadav. The 27-year-old works as an Ola driver for the rest of the year, but becomes a lifeguard during Ganeshotsav. 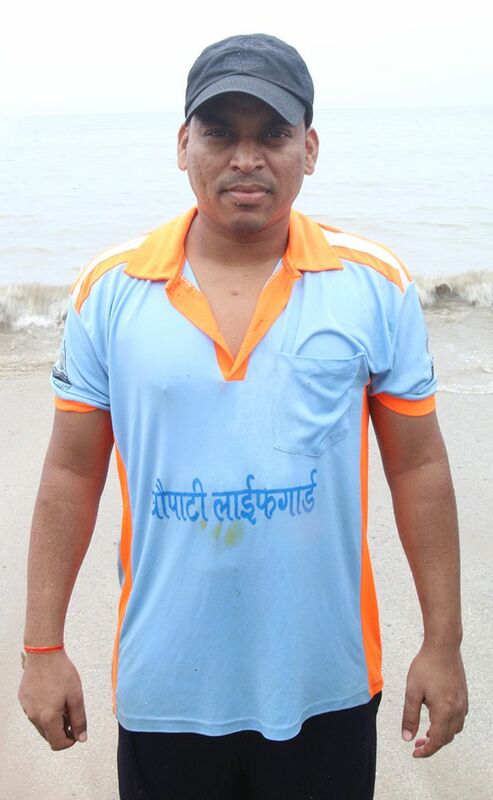 Last year he saved three persons from drowning at Girgaum beach. Meanwhile, at Dadar Chowpatty, Noor Mohammad Khan is a rare example of Hindu-Muslim communal harmony. The 59-year-old is working as a lifeguard for 35 years during the 10 days of festivities, that too without charging any penny. Residents of central Mumbai’s Guru Tegh Bahadur Nagar, Khan also goes to Amarnath Yatra to help pilgrims. “I have a faith in Hindu gods. At my home, you will find idols of Ganesha and Shiva,” Khan said.